People think that changing the trading technology can be stressful and difficult but it’s actually extremely easy and even easier than trading on normal computers. It’s important to know that tablets only include the important features for trading and do not contain a large number of distracting elements. You will need a broker to start trading on tablets and you will need to put some personal details that might be a bit difficult to input using the touch screen interface. But you can also use your PC to register for a broker. What are differences beetwen tablet and smart phone trading? Is trading on tablets doable? What are dvantages of tablet trading? How is future for tablet trading looking? Almost every broker offers both PC and tablet trading options. We recommend using your PC to register logging into the mobile interface using a tablet later. You will need to make a real money deposit, which can be also done from a PC platform. Switching between your tablet and PC will not be required because you won’t be depositing money every single day. But you can use your tablet to deposit money too, it’s not rocket science after all. You will need to log into your account using your tablet and select the desired assets, choose the most optimal expiry times as well as sort out the options that have the largest payout rates. One of the first things you probably notice is the size of the screen and at the end thats the only difference beetwen trading on mobile or on tablets at the moment because you have the same features. Because everything comes to sizes of the screen you maybe are tihnking it is not a big deal but it is a really important feature because for the proper analysis you need to see big charts, it is just easier that way. As we said at the beginning, the computer is still the something that is better option to use when it comes to trading but in the future that could change and only thing important is to improve the steps to make it better for users, traders. IS TRADING ON TABLET DOABLE? Mobile trading is seen as success between traders and there is now a demand to attend to the tablet market. The iPad has taken centre stage in the quest to develop a trading app, s the pioneering mobile tablet device. The most important thing is the challenge in developing iPad binary options apps that will cater to some of the unique demands of tablet devices such as screen compatibility. Developers and designers are always having a challenge of creating apps that can match the different screen resolutions of the tablets. The good thing is that tablet Apps has advantages over the smartphone versions. It’s known that tablets have better internet speed and connection than the smartphones and there are traders who prefer to see bigger resolutions of what they are trading as well. With the portability that the tablets (especially iPad) have, we can say that tablets have almost all the advantages of desktop trading. Brokers that allow iPad trading are using special iOS binary options apps that can be downloaded from the App Store. The Apps are specially designed and developed to fit all your needs and to match the style and usability of iPads. You can easily find a broker that supports iPad trading because there are a large number of iPad binary investing brokers already out there. Android is very popular as well, there are large number of Android binary investing brokers have who are offering Android supported Apps. The best way to explain tablets trading is by imagining a combination of investing in binaries from computers and from mobile phones. The biggest advantage is that traders can access their accounts and purchase contracts from virtually any location and at any moment. On the other hand, the advantage of PC trading is the fact that traders can have a much better overview of their investing activity than using mobile phones. The tabled trading is between these two, which means that you can access your account from almost everywhere and you have the same overview and graphical detail as if you would be trading using a traditional computer. 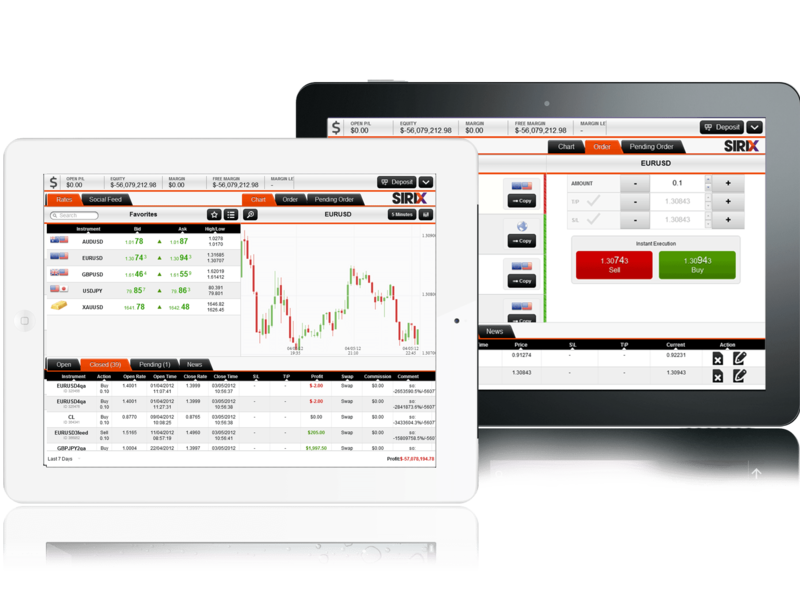 You can trade binary options on tablets on two ways. The first way is by using a web-based interface that you can access from a normal web browser. The experience of using web based trading is almost the same as normal computers and web browsers. There are some disadvantages of using the web based trading like the lack of advanced features and the existence of some elements such as the search bar or the URL bar of your mobile web browser. The second way of trading is by using apps that are specially developed for trading binary options. Because the technology employed allows brokers to include much better and more advanced features than in the case of web browsers, the experience that users have with trading using apps much better. The tablets will definitely overtake the personal computers in very near future which means that mobile trading on tablets will also become much more important in the future than trading on normal PC. It’s wise to use a broker that is offering a mobile and tablet trading because these are the brokers that will dominate the market in the future.